Christophe Claret continues to rock watch aficionados with incredible timepieces that sport both diverse presence and complications. Claret’s new Kantharos Chronograph watch reveals his ability to manufacture consistently some of the most unusual organic watch complications as presented in this pre-BaselWorld video. (Click picture above to visually experience the technical complications of Kantharos). Kantharos makes a powerful statement in a titanium case contrasted with red accented hour/minute and seconds hands, a grey background dial featuring (possibly) titanium or stainless steel accents around the two chronograph registers. The dial features two chronograph sub-dials featuring 12-hour and 30-minute registers. The 12-hour register is located at 9 o’clock has the words “Chronographe” and “Sonnerie” indicated on it. Sonnerie is French which translated means “ring” or “strike.” When the Chronographe Sonnerie is activated by the mono-pusher located at 2 o’clock on the case an audible chime or gong is pleasantly heard. The 30-minute register, located at 3 o’clock, displays the words “Force Constante” and “75 Rubis”. The Force Constante refers to Kantharos escapement and of course its 75 ruby jewels. The ruby jewels are visible just below both registers as well near and on the escapement (aka heartbeat of the watch) wheel. The Force Constante, said to be the Holy Grail of technical complications that watch manufacturers strive to master, minimizes the friction the lever’s pallets experienced when it slides against and meet the escapement wheel’s teeth. The Force Constante helps to minimize this friction thereby maintaining the time accuracy of the watch. 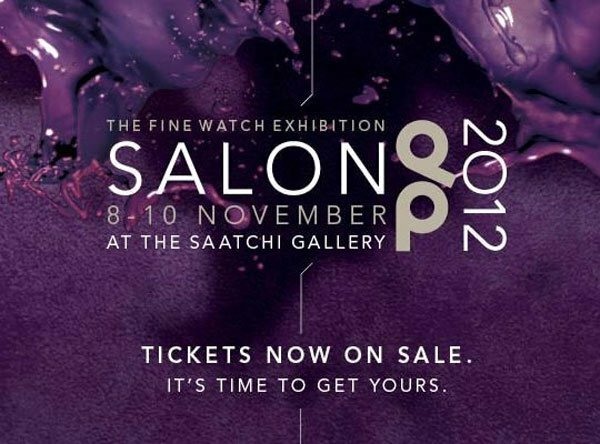 Kantharos has, of course, a Swiss Made mechanical movement which can be seen through its exhibition caseback. It is adorned with a black alligator leather strap that sports tailored red stitching and a deploying buckle. Christophe Claret Kantharos Chronograph actual watch details will be further unveiled at BaselWorld in The Dream Factory booth, at the Palace April 24th- May 2nd, 2013. As to availability, word has it pre-orders are being taken for Kantharos as it is a limited edition timepiece and the demand for this amazing watch is exceptionally high! As would be expected it is, after all, a Christophe Claret timepiece. 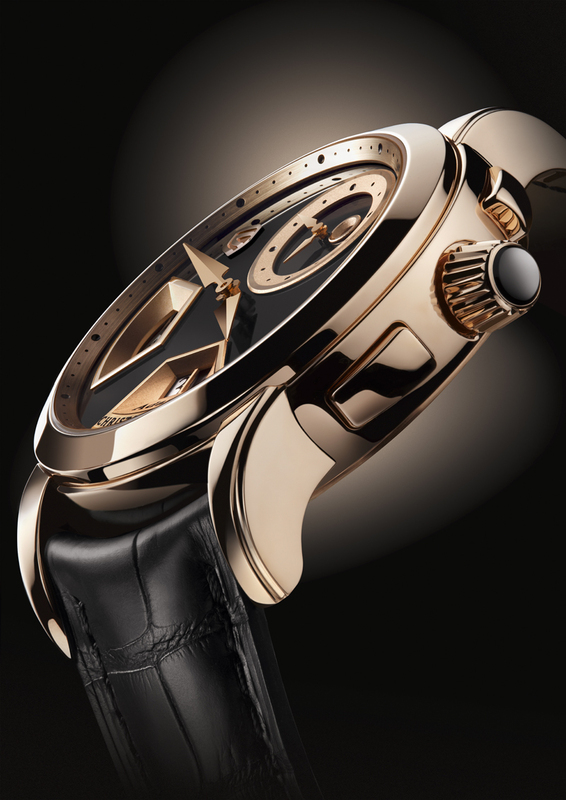 Until recently, Christophe Claret has been creating unique and innovative movements for several watch brands. In fact, he has created 68 unique movements throughout the years. In 2009, he ventured out on his own and produced a watch under his own name. 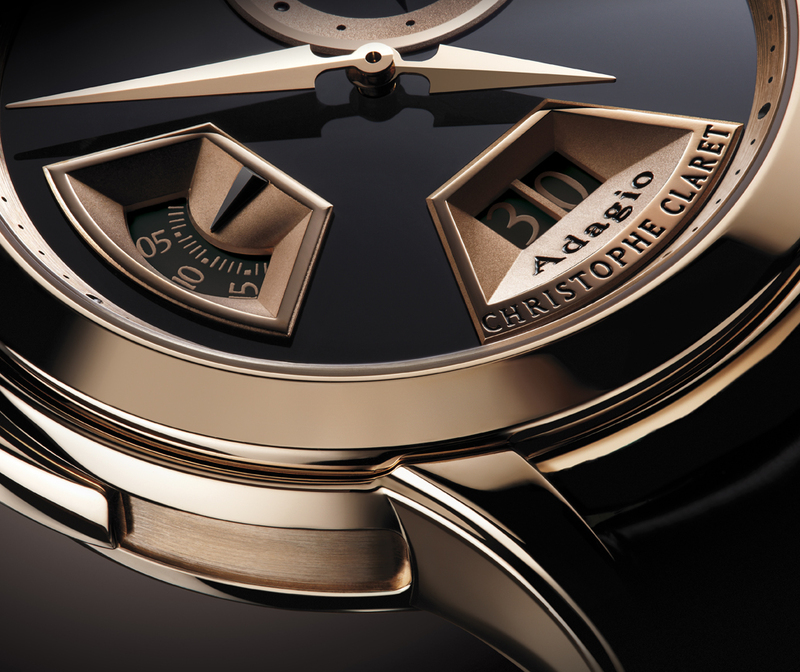 The Christophe Claret Adagio is his most recent venture and second model that has put his brand among the prestigious Swiss watchmaking brands. This limited timepiece displays his creative style and high-end design that has made him popular with his clients over the years. 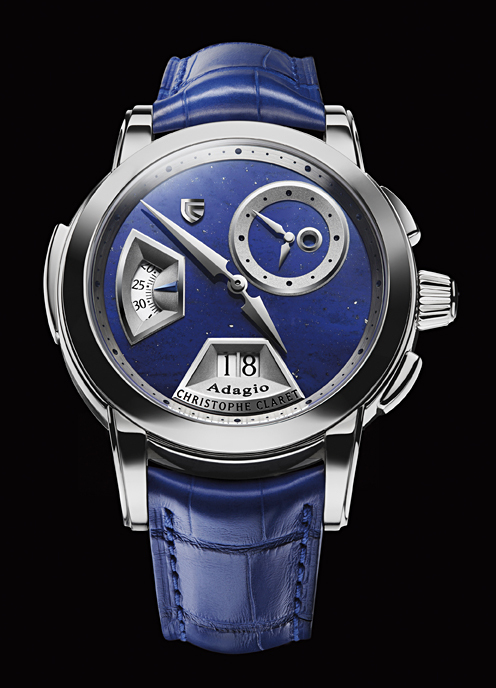 The Adagio shows numerous complications, including minute repeater that is as complicated as it is unique to this brand. This beautiful timepiece is powered by Christophe Claret made Calibre SLB88 manually wound movement that can be seen through the case back, which is clear. The Calibre SLB88 movement measures 34 millimeters in diameter and is made of 455 parts. This interesting watch has a big case, which measures 44 millimeters in diameter, and comes in three different colors that include 18k rose gold, 18k white gold, and platinum. The price varies with the case type. Inside the case, the watch features central hour and minute hands, small seconds’ window at the 9 o’clock position, date window at 6 o’clock position, and a subdial with dual time-zone display with day and night indication at 2 o’clock position. The case is water-resistant up to 30 meters. The watch has two pushers at the 2 o’clock and 4 o’clock positions to adjust the date and dual time-zone displays. There is also a slide-piece that controls the striking mechanism at the 9 o’clock position. There are three different versions of the dial that comes with the Adagio. The first one is white gold dial that has blue hour and minute hands. The second dial has gemstones black onyx, ruby, jade, opal, or lapis lazuli. 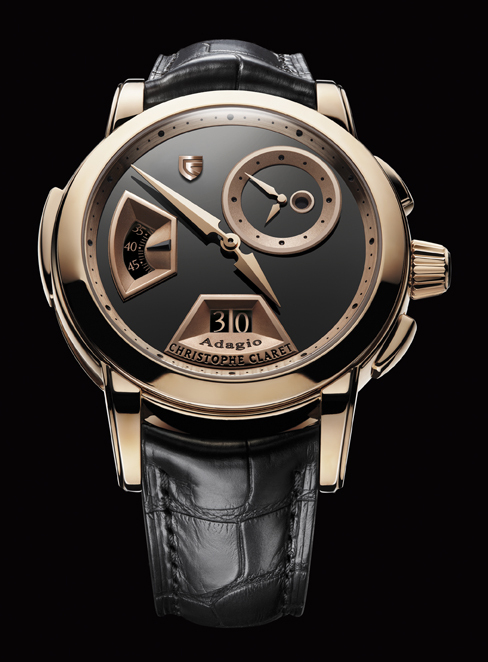 The third dial has a 3D effect with its rhodiumed anthracite gold base punctuated by stamped dials. These varying dials come at a limited 8 pieces each. The timepieces all come with an alligator leather strap. Having worked behind the scenes for many years, Christophe Claret is now firmly in the limelight with his own brand and this second model. 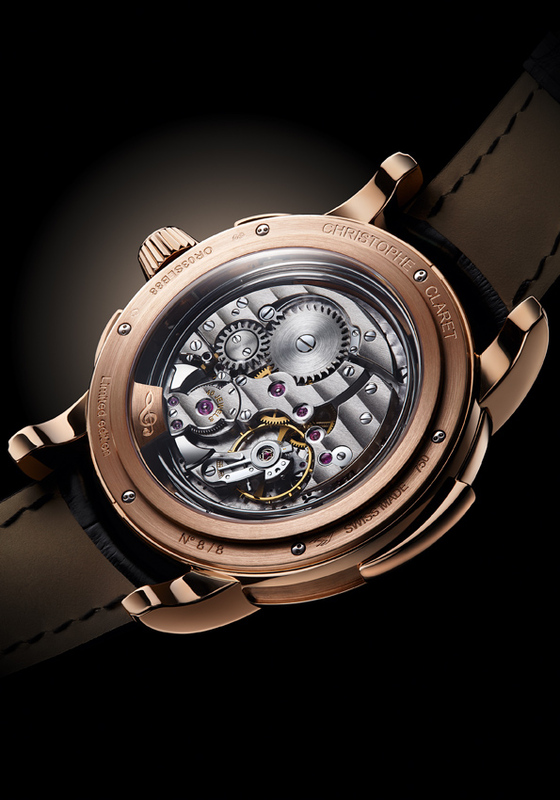 Like his previous works, this timepiece boasts a complicated movement with quality features. This limited edition Christophe Claret timepiece comes at a price ranging from 268,000 – 318,000 Swiss Francs depending on the type of case and model of the watch.